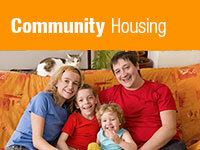 Applications and additional information are available by contacting the Manitoulin-Sudbury DSB Housing Services Dept. at 705-862-7080 or 1-800-847-6342, during regular business hours Monday thru Friday from 8:30 AM to 4:30 PM. You may also contact any of our satellite offices as listed below or download the application by using the links below.